For agents already selling senior market insurance products, this article will be nothing more than a refresher for you. However, there are a lot of guys and gals who want to break into supplement sales, but they need a serious crash course. This guide is perfect if you want to start a career in senior insurance, but it's especially great for those already offering products and services relating to insurance and finances. 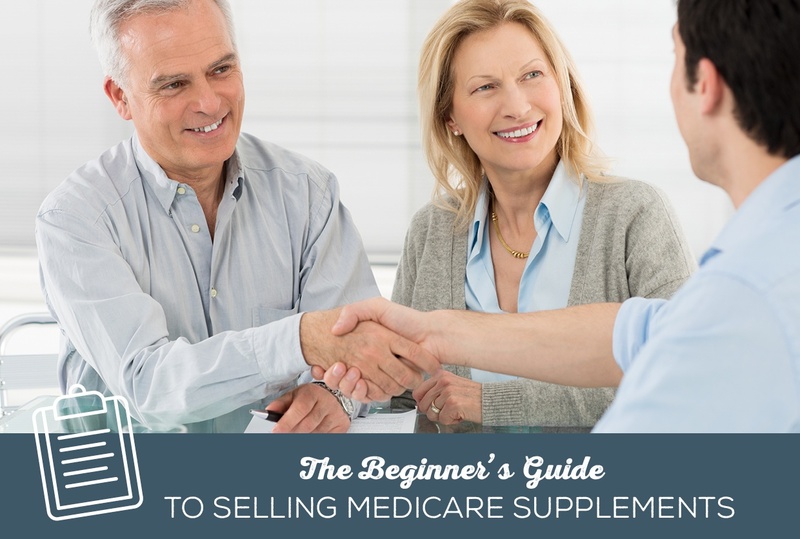 If you already have a book of business, you're primed for Medicare Supplement sales. People already want and need supplemental insurance, and they're going to go somewhere to get it – they might as well get it from you. There are a ton of prospects in the Medicare market. 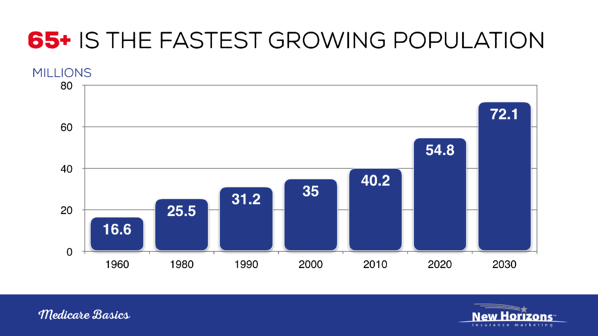 Ten thousand seniors turn 65 every single day – that's a lot of prospects that need Medicare Supplements. When we look at a person that is going onto Medicare, it's pretty confusing and overwhelming. Seniors get a ton of Medicare-related mail. It's truly information overload. It's a serious sense of relief when that senior has someone that can explain how Medicare works. These prospects are very overwhelmed when they're trying to figure it out on their own, and you don't have to come up with some slick sales pitch to get them to buy from you. You're already a tremendous asset, and your help is truly wanted and appreciated. A lot of prospects have retired from large companies that no longer pay for their post-65 health insurance. Many companies now offer a reimbursement so that the retirees can go out and buy their own insurance. It works great, but it leaves the retiree with a lot questions, and they need our help. We're not going to get into Medicare Advantage in this article, but you will want to consider both options when helping a senior with their insurance plan. Medicare is always going to be the primary insurance. As a general rule of thumb, Medicare is roughly 80% coverage, and the supplement is roughly 20% coverage. Every insurance company has the provide the exact same benefits for each plan. No matter what company we talk about, that company has to provide identical benefits. Medicare Supplements are not part of Medicare – they just work with Medicare. They are not overseen by The Centers for Medicaid & Medicare Services (CMS). They are insurance policies provided by private insurance companies. 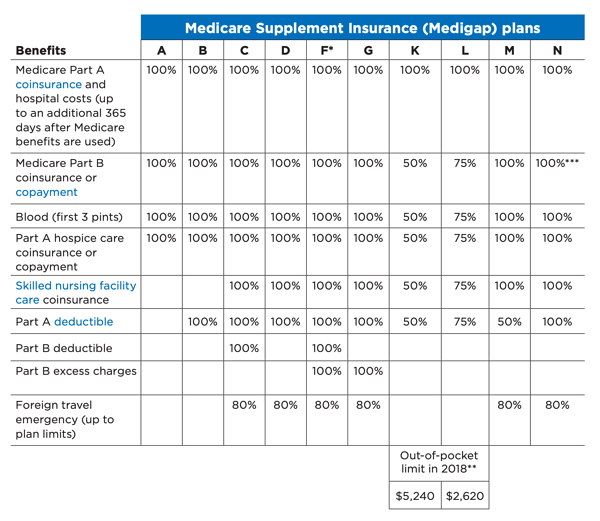 Medicare Supplement policies are also sometimes called Medigap plans, because they fill in the gaps of Medicare. These terms are interchangeable. Medicare Supplements helps with doctor and hospital costs only – it does not include prescription drug insurance. CMS puts out a publication each year called the Medicare & You Handbook. In the 2019 version, you can refer to pages 69-72 while explaining Medicare Supplements to clients and prospects. This handbook should be in your Medicare Supplement kit. The feedback I get is that the more clients read, the more confused they become. You're there to put all of this into English for them. The Client Guide we put together can also help you explain the costs of Medicare to your client. I just mentioned that Medicare Supplement benefits are standardized, which means a Plan F is a Plan F, no matter which company you buy it from. So... if the benefits are the same, what makes supplement different from carrier to carrier? What is the company charging the consumer for the insurance, and what health questions are they asking? If you have a client and you apply for coverage with one company, and they can't pass those health questions, you have a lineup of other companies with a different set of health questions. This isn't something you'll share with a client, but it's helpful for you to understand. Medicare Supplement open enrollment and guaranteed issue (GI) situations are going to be the most complex thing we cover today. Stay with me, though. Your Medicare Supplement open enrollment period is a 6-month window starting on your Part B effective date. You have 6 months where you can apply for a Medicare Supplement policy without going through underwriting. In other words, you don't have to health qualify. Your clients only get this opportunity once in their life. They don't have to worry about pre-existing conditions or underwriting. Once that person gets outside of their open enrollment period, they have to be able to pass health questions in order to qualify to change from one insurance company to the next. If I have a client with Cigna, and Cigna has had some rate increases over the course of a few years, and I see that Mutual of Omaha can save my client some money for identical coverage, the kicker is they have to be able to pass health questions. If they can health qualify, I can give my client a much better price for identical coverage. Outside of the 6-month window, a person will always have to pass underwriting to switch Medicare Supplements. Guaranteed issue (GI) happens when you lose coverage. For example, if you're on group insurance and you lose it because you're retiring. That's really common. You have a window where you can buy plans A, B, C or F without having to pass any health questions. Your window is 60-63 days depending on which state you're in. We stick with 60 days to be on the safe side. Another common example is perhaps you're losing your Medicare Advantage plan. They announce to you that they're terminating their plan in your zip code. That's a guaranteed issue situation where you could buy Plan A, B, C, or F without having to pass health questions. I always find it the most interesting to find out which plans people are buying the most. What is the most popular? It's much easier to narrow it down to a couple plans so that you don't have to understand the benefits of them all. If I had to pick two plans instead of three, Plan F and G are definitely the most common. IMPORTANT: Starting January 1, 2020, Medigap plans sold to new people with Medicare won’t be allowed to cover the Part B deductible. Because of this, Plans C and F will no longer be available to people new to Medicare starting on January 1, 2020. If you already have either of these 2 plans (or the high deductible version of Plan F) or are covered by one of these plans before January 1, 2020, you’ll be able to keep your plan. If you were eligible for Medicare before January 1, 2020, but not yet enrolled, you may be able to buy one of these plans. Here's a chart showing the coverage that comes with each plan. There's a little bit of a premium savings when you sign up for a Plan G versus a Plan F. Plan G has a small deductible (Medicare Part B deductible) while Plan F does not. As you can see, it's not that large. That's the only difference between a Plan F and a Plan G. The price difference, however, is very different. There's a significant savings if you have a Plan G instead of a Plan F.
A Medicare Supplement is usually a no-brainer for snowbirds since the alternative option – a Medicare Advantage plan – is going to have networks. The only Medicare Advantage plan that does not have networks is going to be the Medicare Medical Savings Account (MSA), which would be an excellent alternative. Folks who don't like change and who don't like plans that get tweaked every year – are going to like a supplement. Medicare Supplements stay the same year-in and year-out – no surprises. Selling is going to be all about education. You're going to focus on educating the client about how Medicare works and how a supplement fits in perfectly. There are two main roads you can go down – Medicare with a supplement and a drug plan or Medicare Advantage. Medicare covers about 80%, and the supplement covers about 20%. Here are the two plans I'd recommend for you, and here's how they work. I'd recommend narrowing it down to only two plans to keep the confusion to a minimum. Introducing 3 or more plans becomes information overload – especially when you're likely just finished explaining how Medicare works. Keep in mind that less is more. The more simple and succinct you can make your presentation, the better. Here's what I'd explain when considering the top 3 plans – F, G, and N.
When you have a Plan G, everything is covered except the Medicare Part B deductible, which is $185. There are no other costs – it’s 100% coverage from there. 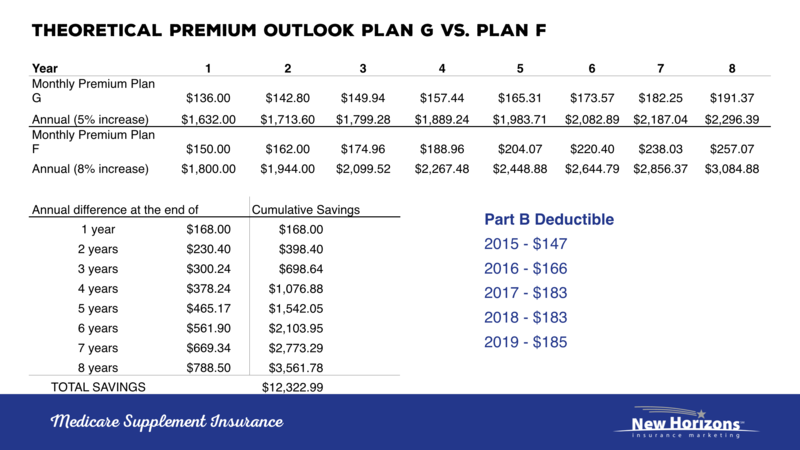 Plan N is very similar to a Plan G. It’s a little less premium, and you still have the same $185 deductible. But every time you go to the doctor, you pay a $20 copay. When you go to the emergency room, you’ll pay a $50 copay unless you’re admitted. The final thing is that if there are any excess charges from the doctor, Plan N won’t cover them, while Plan G will. Honestly, this has never been a problem for us, but I do want to let you know that. Finally, Plan F is considered the “Cadillac.” It pays everything after Medicare – it’s that simple. No copays, no deductibles. The reason why this isn’t the most popular plan today is that on January 1, 2020, Plan F won’t be available to those coming onto Medicare. For everyone already on Medicare, they can always have a Plan F. However, the concern is that the plan will see some hefty rate increases once no new seniors are entering the plan. Once your prospect decides which plan fits their needs and budget the best, it's time to provide a quote. All you need to do is create an agent account on our website and log into the quoting portal. From there, you will put in your client's basic information – zip code, age, gender, tobacco or non-tobacco, and which plan they want – and you will see a list of carriers and their prices from least expensive to most expensive. The supplements that are the most expensive are generally "substandard," or a supplement that is more lenient on underwriting in exchange for a higher premium. In most situations, packaging a cancer plan with the Medicare Supplement is going to be beneficial to the client. You can watch an agent explain how he does that here: Packaging Cancer Insurance with a Medicare Supplement. Finally, if you want to sell Medicare Supplements, you obviously need some prospects to sell them to. You can read about these and many more ways to market to your Medicare prospects here. Ideally, you would only have to actively prospect for the first few years. Once your established, you'll hopefully be working solely off of referrals. Which leads us to an important point here – always ask for referrals! No matter how difficult or awkward it feels, ask every single client if they have any family members or friends who would benefit from your services. That's how you can grow organically and quickly without spending a ton of time and money on lead generation. Now that you understand how the process works from start to finish, you have to be contracted with supplement carriers in order to sell their products. We recommend starting with 2-3 carriers. You can see a list of the carriers we represent here. The best place to begin is by pulling some quotes in your zip code – or the zip code in which you'll be selling the most – and contracting with the most competitive carriers in that state. You might also consider a carrier that fills a common underwriting niche, like diabetes. In any case, we can help you narrow it down. You can read more about the contracting process here. If you've made it this far, hats off to you. There's a lot of information you need to take in when you're learning about Medicare, but once you've got it down pat, you're off to the races. The thing is, there's a lot more to senior insurance sales than Medicare Supplements. And there's a lot more to Medicare Supplement sales than this article.